Virtual reality has been the dream of gamers for ages, picking up pace ever since the first 3D animated games landed in arcades and on consoles. The problem is that VR games and equipment are still very expensive, meaning that for many gamers the chances of experimenting with VR has been limited to E3 one-off demos or visiting that one friend's house who can actually afford it. As such, it still stands to reason that virtual reality becoming a household device is still quite a ways off. Instead, augmented reality (or AR) has been much more successful in bringing in massive audiences to a game. This cannot be truer than with Niantic's Pokemon GO app for iPhone and Android devices. 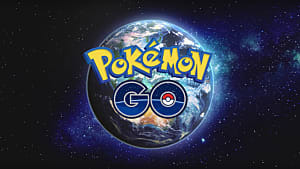 The game has dragged in a huge crowd, and has revitalized interest in both augmented reality and virtual reality's uses. Even Apple has taken a bigger interest in augmented reality after the success of Pokemon GO. The question now is: how will mobile games influence mobile games moving forward? Today we'll talk augmented reality, and what we might be able to expect in the coming years. For those not in the know it's fairly easy to confuse augmented reality with virtual reality. This is primarily due to the fact that both features morph our perceptions of reality using digital technology. The main difference to keep in mind is that while virtual reality completely tears away our perception of reality and replaces it with a digital environment, augmented reality adds images and sounds to the real world. A simple analogy can be found in comparing something like the Oculus Rift to Pokemon GO. 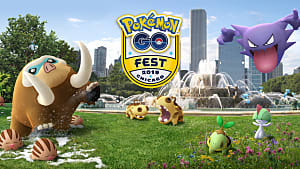 Whereas the Oculus is a full headset that limits the user's perceptions of the world outside of the device, Pokemon GO uses a handheld device to insert images and sounds to the real world where there is - in actual reality - nothing. While virtual reality has technically been around since the 1930s in the form of View Masters and other devices, VR as an interactable medium is a fairly new technology. It was only in 2012 that we saw a major push toward head-mounted virtual reality gear that immerses players in a sound and video environment that completely replaces their sense of place. Augmented reality on the other hand has been around since the year 2000 with the invention of Hirokazu Kato's ARToolKit. Augmented reality has been somewhat of a staple in our everyday lives without us knowing it. It's been used during the Olympics, for example, where world record racing times race alongside swimmers and runners in real time. Augmented is by far the more practical technology at this moment. For some time now, companies such as Microsoft have been looking to enhance or improve augmented reality for practical uses. One such device is the Microsoft Hololens which is a headset device designed to take augmented reality simulations off of the camera/screen medium and into a glasses-like technology. The goal of hardware such as the Microsoft HoloLens is to further break down the barrier between that which is on the screen, and that which is in our real world. This is different from virtual reality which relies on environments that are designed instead of using those which exist before us every day. Nintendo has been one of - if not the only well known - forerunner when it comes to using augmented reality in gaming. The Nintendo 3DS, for example, is the only device in this current generation to advertise augmented reality as a console feature. This has been implemented in several games, the most well known being Bravely Default which had players use the AR card on the back of the instruction manual to play various cutscenes. AR Games was a standard feature that came pre-installed on the Nintendo 3DS hardware. 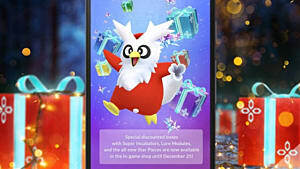 It allowed owners to play various AR based games using special cards as an anchor point for the device. 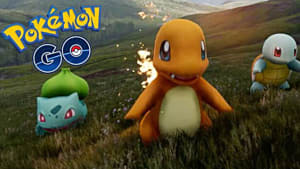 What makes Pokemon GO so special in terms of augmented reality games is that it is the first to successfully implement the feature without breaking immersion too strongly. Anyone who has played a 3DS title that uses augmented reality can testify that the AR in Pokemon GO is a lot less shaky than on the 3DS handheld. This year at the 2016 International Tournament of DOTA2, Valve set up an augmented reality show during the picking phase of each round. While players at TI6 would have to watch the monitors to see the augmented reality setup, live viewers were able to watch 3D models of characters appear on screen, rendered live. Valve has been steadily improving the quality of their live show ever since the first International, and this year's show truly shows the potential for augmented reality in gaming.The real showstopper of TI6 was the announcement of Underlord in all of his augmented reality glory (right). Many viewers on Reddit have already talked about the possibility of using this technology for something like Yu-Gi-Oh! where Duel Monsters could be summoned in augmented reality, similar to how the anime of the same name used holograms. 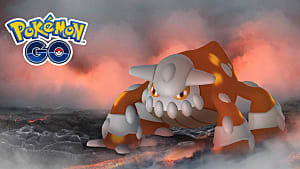 Similar possibilities have been discussed by Pokemon fans who would like to see their favorite creatures battle in full AR in upcoming handheld titles. 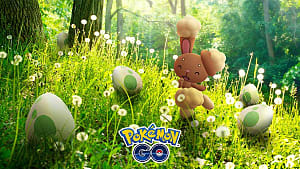 Pokemon GO has already proven that augmented reality games have a market, provided that the concept is endearing or interesting enough to gamers. Another game that was successful in grabbing attention is father.io, a multiplayer shooter being developed as a smartphone add-on. While the concepts of these games are without a doubt some of the greatest, the fact remains that not everyone wants to be glued down to a screen. After all, holding a smartphone upright for long periods of time can be tiring over hourlong sessions. So what does this mean for the future of augmented reality games? Earlier in this article I mentioned the Microsoft Hololens. The Hololens is important to AR gaming's future in that it essentially sets up the possibility for augmented reality gaming that is not only much more accurate (i.e. : holograms don't jump around as much as the 3DS), but can also link up with devices that are much more powerful. Since the Hololens runs off of Windows 10 and Windows Holographic, the device could quite possibly become the first home augmented reality gaming device. The problem is that until another similar device appears on the market, it's unlikely we'll see AR leave the screen anytime soon. The Microsoft Hololens currently comes in at a sale price of over $3000. As such, it will take some time before the Hololens will be widespread enough for common gaming and household applications. 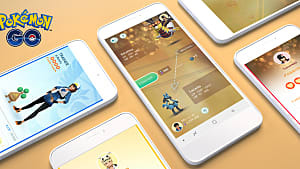 Nintendo has been pretty good for innovation, and augmented reality seems to be one of their main focus points in both mobile and handheld gaming. 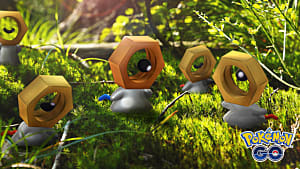 While the NX is still up for pure speculation at this point, I wouldn't be at all surprised if Nintendo adopts more AR technology for the NX. One possibility is that the handheld component (similar to the gamepad) could have a camera on its front or back. 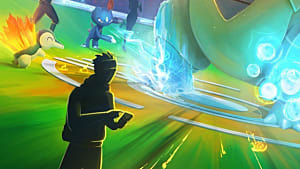 This would allow players to experience augmented reality gameplay on a controller better designed for carrying for long periods of time. It's just pure hypotheticals, but who knows what they might be planning other than Nintendo themselves? As someone who hasn't been completely sold on the prospects of VR gaming, augmented reality looks to be a much more promising tool for developers in the future. Unlike virtual reality, augmented reality has the ability to be used outside of the household, and outside of your seat. While Valve's HTC Vive device does let you set up boundaries for a fully interactive VR environment, until we find a way to recreate motion seamlessly there is little practical use for it without injury or disorientation coming into play. While I love the prospects of being fully immersed in a virtual world, I don't think that it's a practical tool for gaming in the state it currently is in. When I think functional virtual reality, I think about Sword Art Online. In that anime players are completely immersed in a video game without their physical body limiting their ability to enjoy the game they are playing. Being able to look around freely in video games is cool and all, but it doesn't function at a level where it is practical. After all, if first person games were truly that much better on a VR headset we'd all be picking them up for competitive gaming. Alternatively, when I look at the success of Pokemon GO and upcoming titles such as father.io, I think about this animation by RocketJump's Freddie Wong. Only 5 years ago his short film would be considered something absurd. Even Freddie puts "the future of gaming?" at the end of his video as a question. Now it's more of a rhetorical question than anything as the possibility becomes reality. 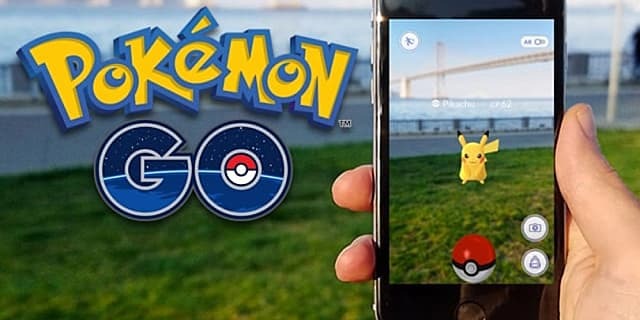 Pokemon GO is just one of the steps we'll be taking toward augmented reality gaming. Maybe one day we'll get virtual reality devices that can perform just as well as we would like, but for the time being my money is on augmented reality becoming something bigger much sooner than VR will ever be in the next 10 years.